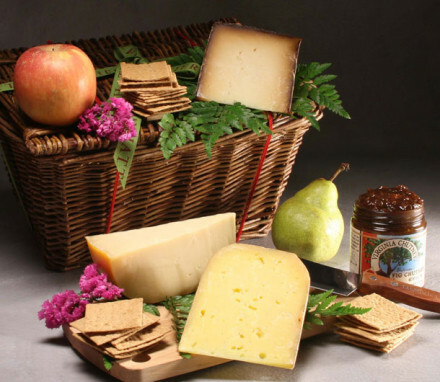 If you are looking for a Christmas gift for the cheese lover on your list, you could take a trip down to your local cheese shop, select some cheeses that you think are interesting, and have them wrapped up in wax paper. Then you could go to your local market and find some crackers or to your bakery to find some bread. Then you could spend some time thinking about what other items go well with cheese: olives? pickles? jams or chutneys? fresh fruit? dried fruit and nuts? Then, of course, you would want to find just the perfect cheese knife. At the end of the day, you would have to find a container to hold all of your items and make it look pretty and appetizing. Then you’d have to find a way to send the gift or carry it yourself. You could conceivably do that. But why would you when we offer a curated selection of cow, goat and sheep cheeses thoughtfully paired with all the right accoutrements and packaged to make a beautiful presentation? 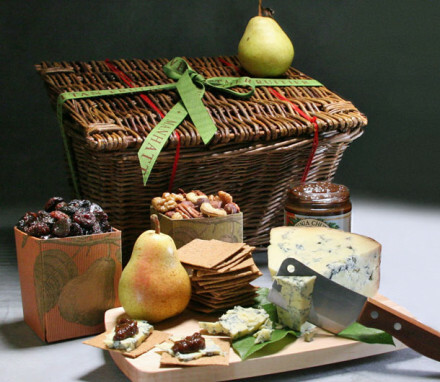 We make it easy for you to send Christmas presents to cheese lovers! Our cheeses are made in small batches on family farms, and you can taste the difference between these gems and other manufactured cheeses. We have soft cheeses, such as our creamy Timberdoodle and brie-style Moses Sleeper from Vermont; semi-soft/semi-hard cheeses such as our Ascutney Mountain European alpine-style cheese made in Vermont, and our unforgettable Harpersfield with Ommegang Beer cheese made in the Catskill Mountains of New York; and hard cheeses, such as our Marieke aged Gouda from Wisconsin, and our Parmigiano Reggiano imported from a family-run dairy in the Po Valley near Parma, Italy. 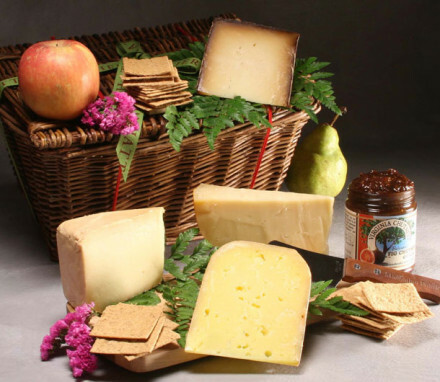 We also have Christmas gifts for cheese lovers that might be vegan, gluten-free or like to eat organic. We recently found a wonderful artisanal vegan cheese maker in Brooklyn, NY who uses all natural methods to make and age these extraordinary cashew-based cheeses enhanced with delicate spices. All of our cheese gifts can substitute gluten-free crackers for our winter wheat crackers (which are also organic and vegan). Finding a really good organic cheese is not an easy pursuit. 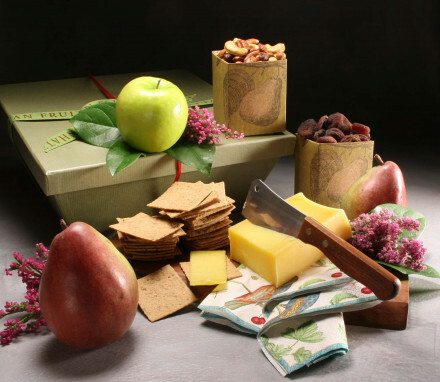 We scouted far-and-wide to find our deliciously grassy and nutty alpine-style organic Tarentaise cheese from Thistle Hill Farm in Vermont and paired it with organic crackers, organic fresh fruit and organic nuts. 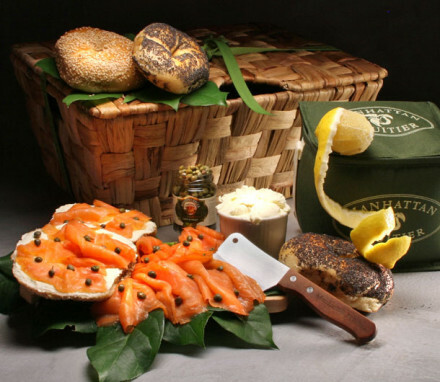 In addition to pairing our cheese gifts with crackers, jams and chutneys, nuts and fresh and dried fruit, we also have a selection of gifts for meat lovers that combine cheeses with smoked salmon or prosciutto. 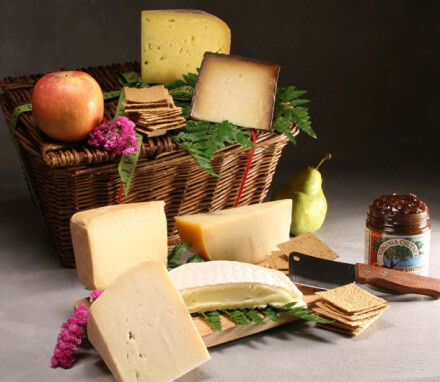 Some cheese lovers will welcome the savory union of cheese and meat. 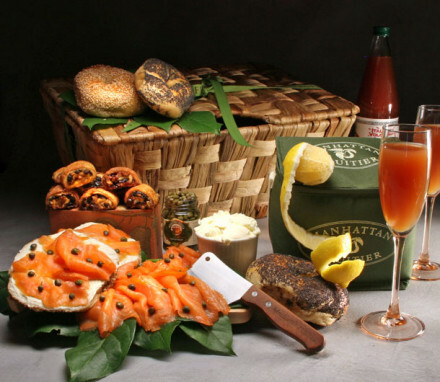 Our bagel brunch gifts focus on the classic New York bagel, cream cheese and luscious Scottish smoked salmon. 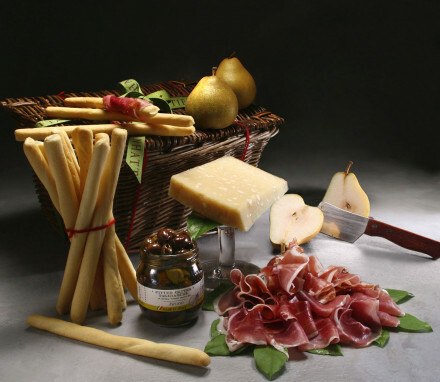 Our prosciutto basket features award-winning prosciutto air-cured the old way paired with a wedge of the finest parmigiano reggiano. 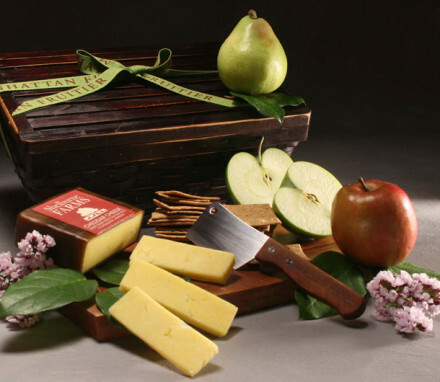 Consider these classic gifts when searching for a great Christmas present for cheese lovers this holiday season.